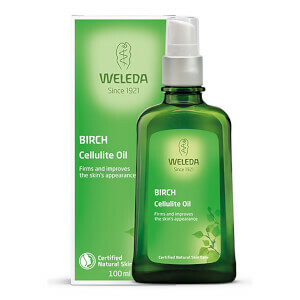 Weleda Birch Body Scrub gently exfoliates and smoothes the skin without synthetic detergents or aggressive agents. Natural plant wax pearls and pure plant oils gently massage your skin, supporting cell renewal. Organic birch leaf extract blends with the finest essential oils to regenerate the skin and the senses. Made with organic birch leaf extract known for its purifying and detoxifying properties, the Weleda Birch Body Scrub leaves your skin feeling and looking soft and silky smooth. In the shower, massage into wet skin with circular motions, particularly over the thighs, hips and bottom. Hold on Honey - This is not a scrub. It is a nice pine smelling creamy wash with small round bits in it but it absolutely do not scrub or exfoliate like it is probably intended to do. 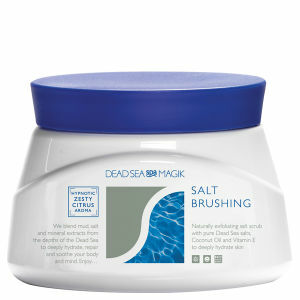 The scent is refreshing and clean, but I guess if you intend to buy a scrub I would suggest you choose another product. Sorry Weleda! I did my research when replacing my usual scrub. The positive reviews helped me to choose this one. It really is effective....soft, not abrasive, subtle scent, my skin, particularly my legs look and feel good. Thetube is light and easy to handle, no big deal if you drop it. As for the price, well buying this is a no brainer. I like this product a lot! It leaves my sky smooth and soft and it's really delicate on it. It has a strong Birch smell. A really good product for your body! Nice fragrance. The skin is really soft after using it. This Weleda Birch Body Scrub is a soft body scrub with very gentle wax pearls. I love the fresh birch smell but would like it to have been a bit tougher - but that's just my personal preference! This Weleda Birch Body Scrub is the best product ever for my skin. 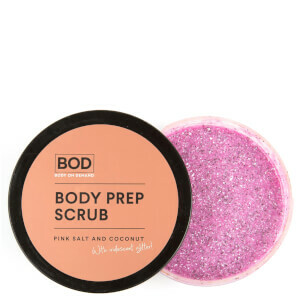 This body scrub is absolutely gorgeous. Most body scrubs smells strong of perfume or lemon, but not this one. Try it if You want to feel smooth and just smell clean, not smell of bubblegum or a whole lemon tree. You can still use Your favorite bodylotion and perfume without funny mixtures of smells! I love it!!! !